For more than 100 years, members of the Randolph family called Wilton home. Built c. 1753 for William Randolph III, Wilton was the centerpiece of a 2,000 acre tobacco plantation and at one point was home to the largest enslaved population in Henrico. 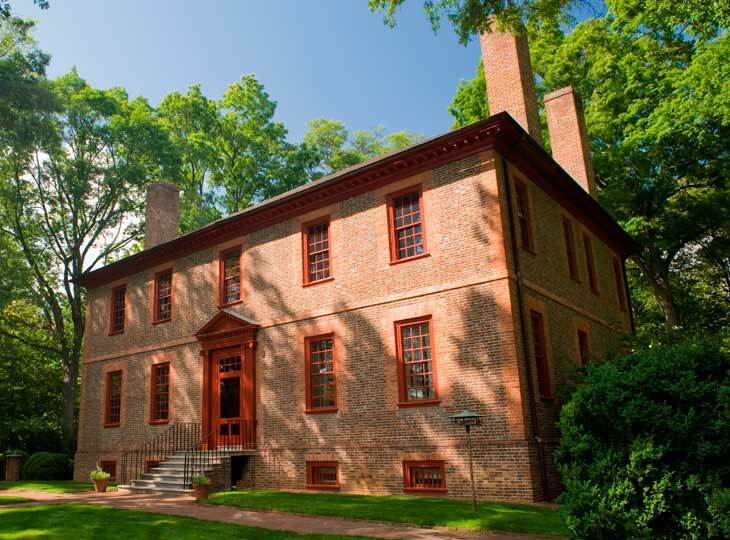 It was here that the Randolph family entertained some of colonial Virginia’s most elite social and political figures. Wilton hosted George Washington shortly after Patrick Henry delivered his famous ultimatum, “Give me Liberty, or Give me Death!” during the Second Virginia Convention in 1775. In 1781, then governor Thomas Jefferson visited Lafayette who was headquartered at Wilton, while 900 of the General’s troops made camp around Wilton. Lafayette would next go on to help secure American independence at Yorktown. After passing through successive generations of the Randolph family between 1753 and 1859, Wilton was sold to Col. William C. Knight to pay off a mounting family debt. The last Randolph owner, Catherine, married Edward Carrington Mayo and moved into neighboring Richmond. Wilton went on to survive the Civil War and change owners another 4 times before going into foreclosure during the depth of the Great Depression. 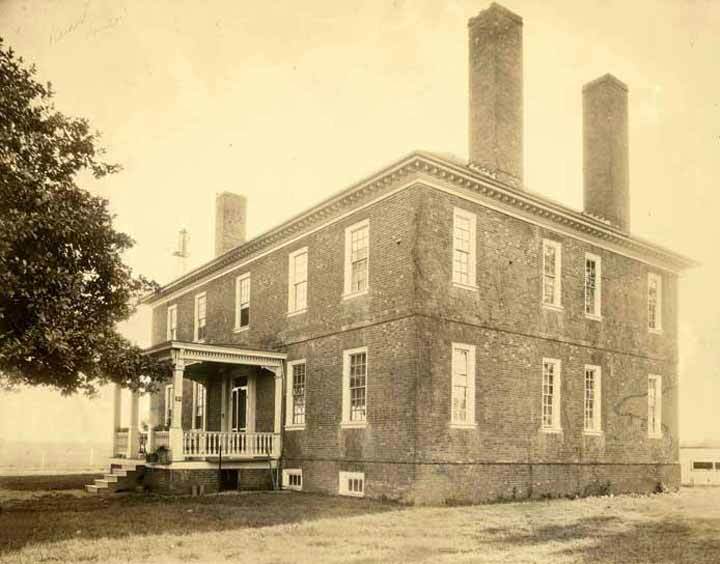 In 1932, The National Society of The Colonial Dames of America in the Commonwealth of Virginia took action to rescue this storied Virginian home from ruin. Raising money without the assistance of outside funding, the Dames were able to purchase Wilton and protect its legacy. However, as the land on which Wilton stood had been rezoned for industralization, the Dames were forced to dismantle the house, purchase a new lot, and rebuild Wilton on the grounds where it now stands, beautifully restored. Today, Wilton continues to serve as an example of Georgian architecture, headquarters to the Virginia Dames, and host to public programs and educational exhibits. To find out more about Wilton House Museum’s events and opportunities, visit our Events page. The National Society of The Colonial Dames of America, founded in 1892, is an unincorporated association of 45 Corporate Societies with over 15,000 members nationwide. The Society headquarters is located at Dumbarton House, a federal period house museum in Washington, D.C. The NSCDA has been a recognizable leader in the field of historic preservation, restoration, and interpretation of historic sites since its New York Society first undertook the preservation of the Van Cortlandt House in 1897. In November 2000, the NSCDA received the prestigious Trustee Emeritus Award for Excellence in the Stewardship of Historic Sites from the National Trust for Historic Preservation. Today, 41 diverse properties are owned outright by the varying Corporate Societies of the NSCDA, 13 additional museum collections are owned by the Dames, and 30 more properties receive substantial volunteer and financial support from Dames. In addition to its broad based activities in the museum field, the Society sponsors a number of scholarship programs and other historic preservation, patriotic servic, and educational projects to further the aims and objects of the Society. Membership in the organization is by sponsorship only. Members must be lineal descendants of an ancestor who rendered significant service to his country during the colonial period before July 5, 1776. To learn more about the Virginia Dames and how to get involved, visit www.nscdava.org.